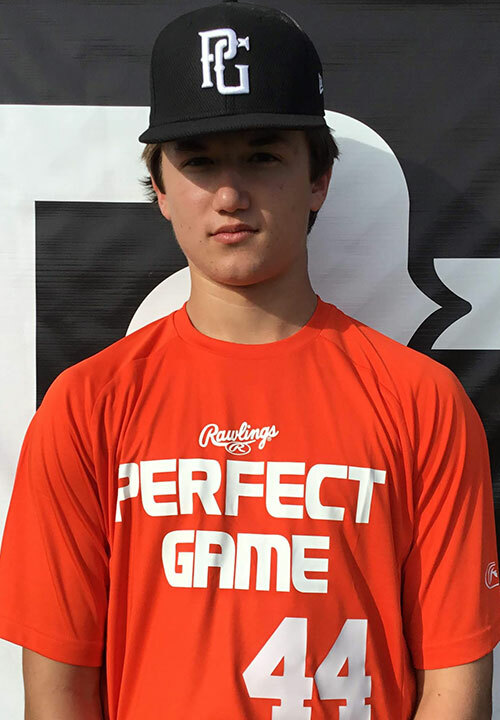 Benjamin Hamacher is a 2021 2B/RHP/SS with a 5-9 165 lb. frame from Marietta, GA who attends Blessed Trinity Catholic. Medium frame with some room for projection. In the infield he uses an out front funnel with advanced footwork and movement patterns. Threw across the infield at 78 miles per hour. Showed great accuracy throwing across the diamond from short stop. Uses an upright stance with a high hand set at the plate. Narrow start with an early stride that gets down on time. Quiet approach at the plate overall. Very consistent line drive hitter that showed great bat control and timing. Projects for more power with added strength. Excellent Student.